The verse above is taken from Luke 20 : 1 – 2 .As i read this passage, the Holy Spirit whispered me the intonation of the sentence “Who gave You this authority?”. It’s an anger tone, a demand tone. At that time i realized the whole verse means. And by the way it happens to us a lot. How come? When there’s something happens which is not as we’d like it to be, we often came up to Him just like the chief priests and the teachers of the law together with the elders with a demanding tone. Came up here means they were so impolitely breaking through the temple while He was teaching gospel. How many of us when we’re facing troubles, we just came up to Him impolitely. You will notice how impolite they were or i can say we are on the next things they said. “Tell us by what authority you are doing these things,” they said. 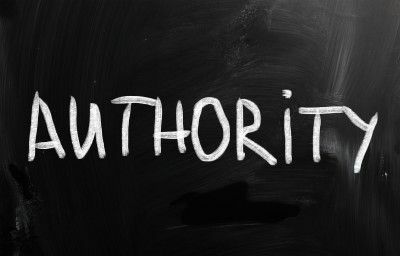 “Who gave You this authority? This reminds me of how angry i was – how desperate and how demanding i was to be healed instantly! This sentence for me is more than just impolite but actually rude and non sense! But on the other side, it’s so true about our self. I’m amazed by Jesus’s reaction on this verse! What would you do when some people suddenly break in to your door and curse you? Would you then ask them a simple question? – Maybe i would then curse them back and send them to the police! Or if i were man maybe i would just punch their face, haha Well, what can i say? On Book :John it says that God is love! He is not just spreading the love but He is the love Him self. Rather than send them off with anger (remember He could just turn them to stone if He wants – for He is God), He asked them a simple question. For me, this question was asked when i was so demanding for the healing. “Would you rather to follow My plans or your own plan ? For I know what is best more than you could think of.” – There i fell down on my knees surrender even it is so hard to give up my demands. How many of you have been asked the same question? We will all agree that they were so stubborn, they have seen miracles happened – the blind sees, the paralyzed walks, the deaf hears – yet they didn’t want to admit all that and accusing Him instead. Just like as we have seen so many miracles happened to people around us, but still we don’t want to admit it or we thought that it just happened for some people and not our self. Good news : Miracles could happens to anyone! Because miracles happens not because the person but whom the miracles come from! God. How many of us just as stubborn as they were? When we were asked to follow His plans or our plans, don’t we accused Him for not wanting to give us “the best” on our version? How often we don’t want to let go of our demands – too selfish and stubborn not to believe in Him. Especially when we called our self Jesus’s children – who believes in Him, but at the same point, we actually don’t because we don’t believe in His way when things mess up, to where He wants to take us to. How can you say you believe Him when you don’t even let His hand leading yours? It is clear that we will not understand His way when we don’t let go our demands onto His feet. As it also said ask everything with giving thanks – not with a demanding attitude and you will receive. And i am not saying this out of nothing – i have gone through it. Trust me when i say, surrender and grow your faith each day – because when i surrender it all, i got His “Best” version and trust me again that it’s overflowing, much more than i could ever asked! He told me to wait not because He is not willing to see me happy but to give me the real happiness inside and out! Read my battle of faith with Severe Eczema here.